Ray is on a roll! 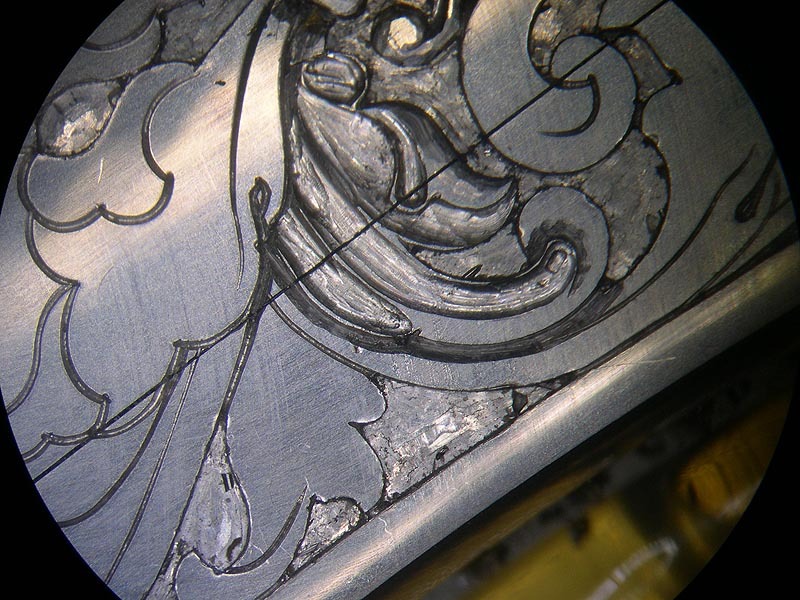 He has been on another on-demand tutorial for EngravingLessons.com and has it completed. This tutorial takes you step by step through Ray's process of creating sculpted scrolls that he used on his Dante's Inferno theme knife. This covers the tools needed as well as the step by step methods. Ray used a three step process for this sculpting. 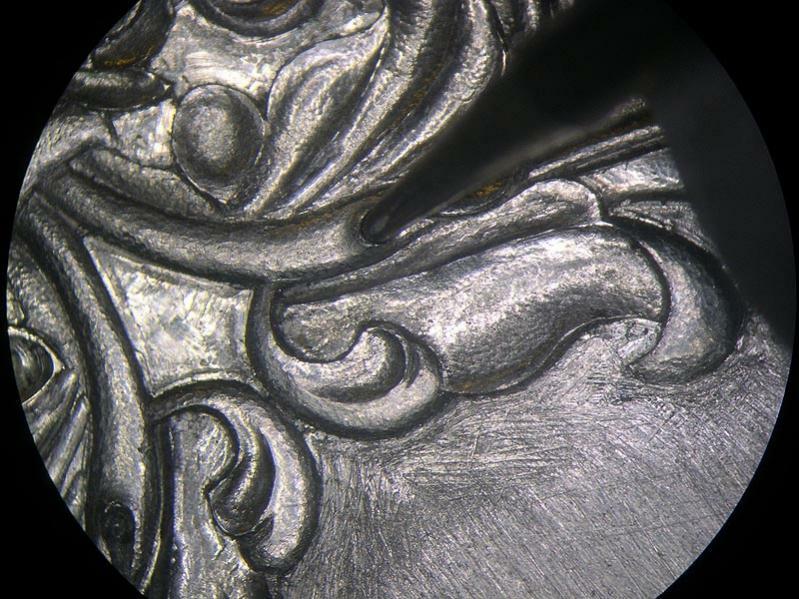 The initial carving with gravers, refining the shape with punches, and finishing with stones and polish. All three of these procedures are covered in detail. Ray also gives a short description of alternative methods. You also get to see how to create the raised domed panels for doing bulino scenes or other engraving on. Please note that this tutorial covers the sculpting portion of this project only. The bulino part of the project is not included. After purchase you will be able to see the tutorial at this link. Thanks for buying the tutorial. I'm glad you like it. 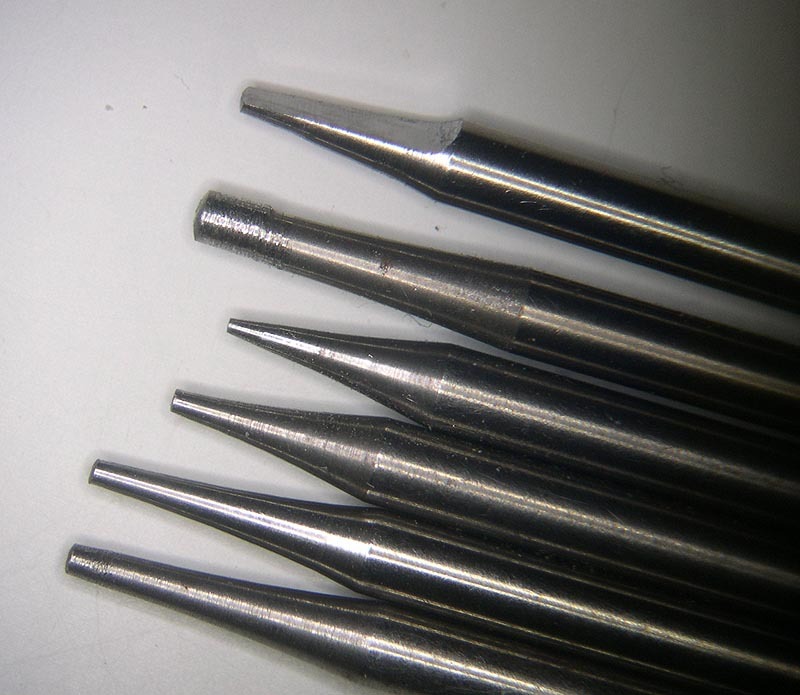 I went back and added a couple pics of that graver and a brief description. Let me know if that helps. Unfortunately I did not take a casting off that project. That knife just had too many moving parts and cavities that I was afraid I would be digging mold rubber out of it for a week if I tried a casting from that one. The Alice knife was not sculpted. Ray, Thanks for this tutorial. 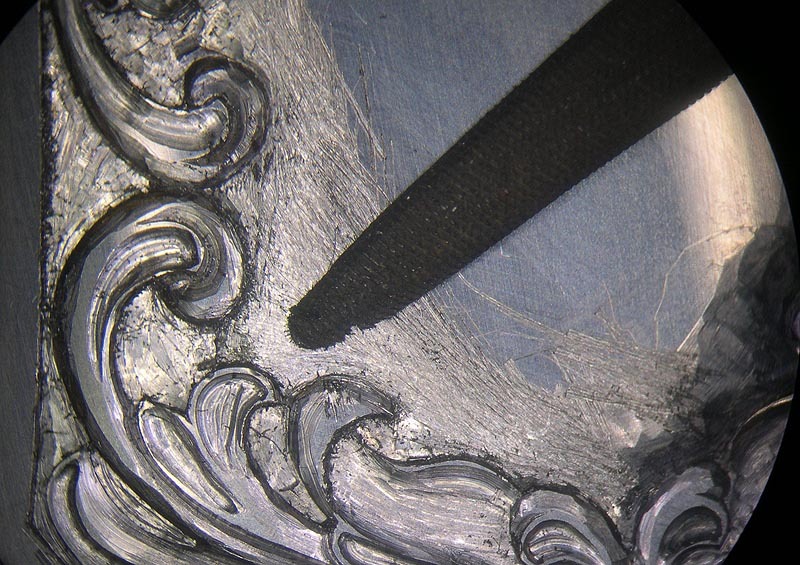 The flat graver with the 30 degree heel has solved one of my relief problems with tearing up the edges. I made up two of them and the smaller one works the best. I made up some assorted sanding sticks and they work great. The TiteBond glue that I used doesn't want to stick to the 1200 Norton Blackice sandpaper for some reason but I try something different tor the next batch. These two tips along with the tutorial made this a great buy.